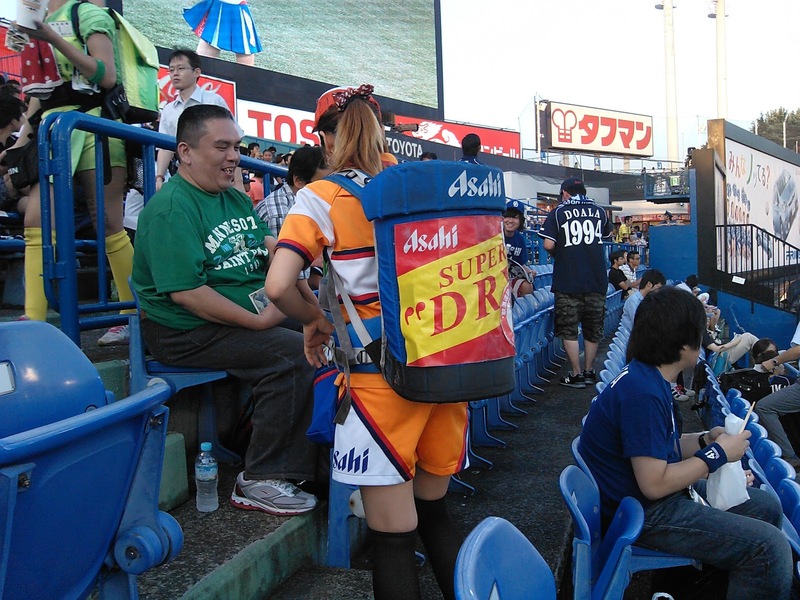 Japan has a long and proud history in sport. Japan first participated in the Olympics in 1912 and went to each Olympic Games after that except for 1948 in London and 1980 when a number of countries boycotted the Moscow games. It's most successful Summer Olympics were in 2012 at London where their athletes won 38 medals. Japan has hosted the Winter Olympics twice (1972 in Sapporo and 1998 in Nagano) and the Summer Olympics once in 1964 (the "Dawn Fraser" Olympics for all the Aussies out there who remember what happened at those Games!). Tokyo is one of three cities (along with Madrid and Istanbul) in the running to be selected as the host city for the 2020 Summer Olympics. Domestically, the national sport is Sumo wrestling, a sport that I like to watch having developed an interest in it during my first stay in Japan. I was even lucky enough to meet one of Japan's most famous Sumo wrestlers, Chiyonofuji during my first stay also. Soccer (football) is increasing in popularity year after year due to Japan having qualified for the last three World Cups and co-hosting the 2002 edition with neighbour South Korea. It is currently the second most popular sport in the country. 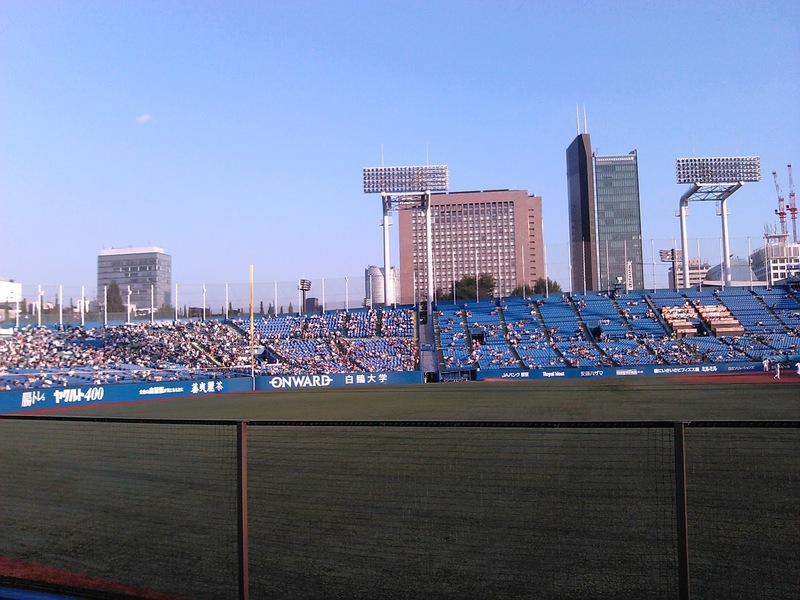 The honour of being the most popular sport in Japan goes to Baseball, or yakyu in Japanese. 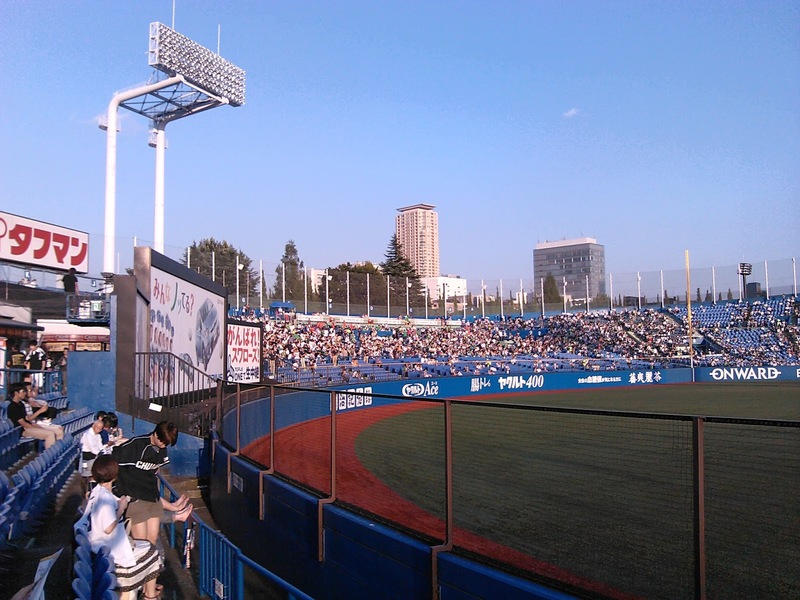 Baseball was brought to Japan in 1872 and Nippon Professional Baseball, the governing body, was established in 1920 and the first professional league started in 1936. There are two Leagues of 6 teams each. The top team from each division meet in the championship series to decide the champion of Japan. 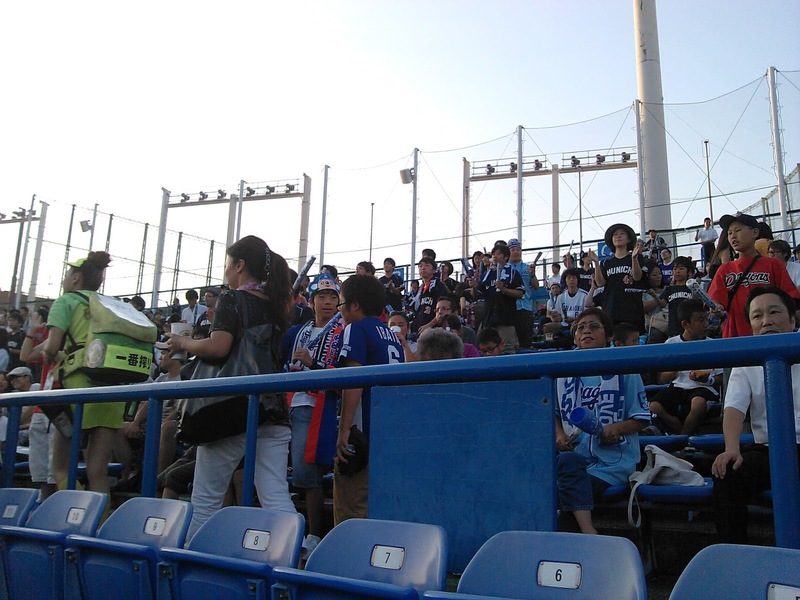 On Wednesday, one of the Tokyo teams had it's Draft Beer night with 350 yen (about $3.50) beer and fireworks, so, together with a few friends, I decided to head along and watch a game. The game was held at Meiji Jingu stadium (built in 1926 and is currently the oldest baseball stadium in Japan and home of the Yakult Swallows), right near the main stadium that was used for the 1964 Olympics. The walk from the nearest station to the stadium is a nice one with local business loading up tables outside their shops and restaurants with food, snacks and drinks for people to buy on their way to the stadium. 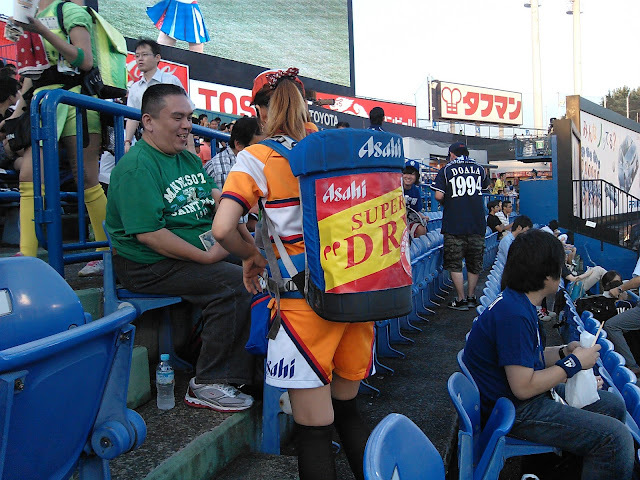 It is fine to bring your own food and drinks into the stadium here. The stadium is in a nice area between Aoyama Ichome and Gaienmae. 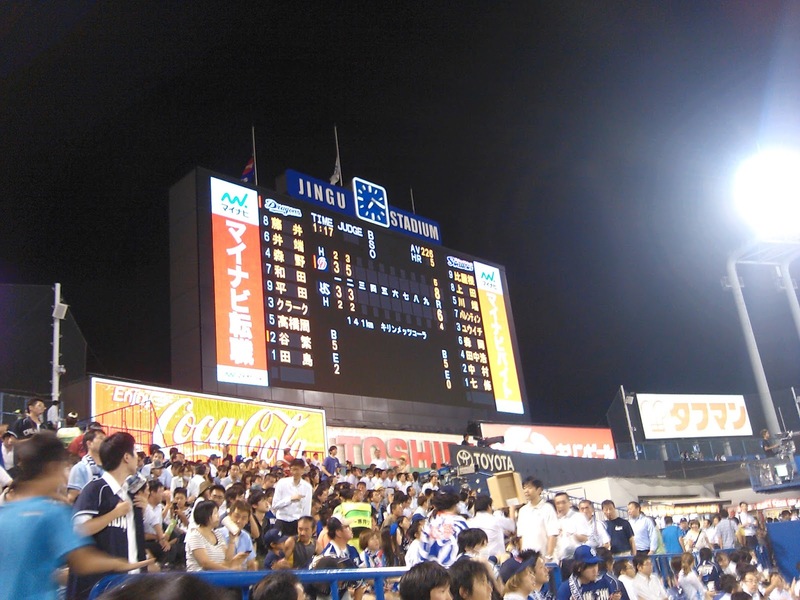 The game this night was between the Yakult Swallows from Tokyo and the Chunichi Dragons from Nagoya. The starting time for the game was 6pm so when we arrived at about 5:30, there were not many people about but as people finished work and arrived at the stadium, it gradually filled. After some hot weather recently, the weather on this night was very comfortable! We were sitting in the visiting Dragons supporters section that was quite full. 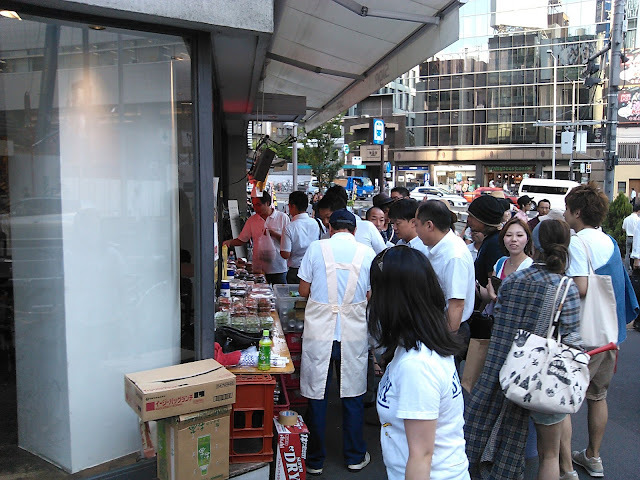 I guess a lot of people from Nagoya live in Tokyo! 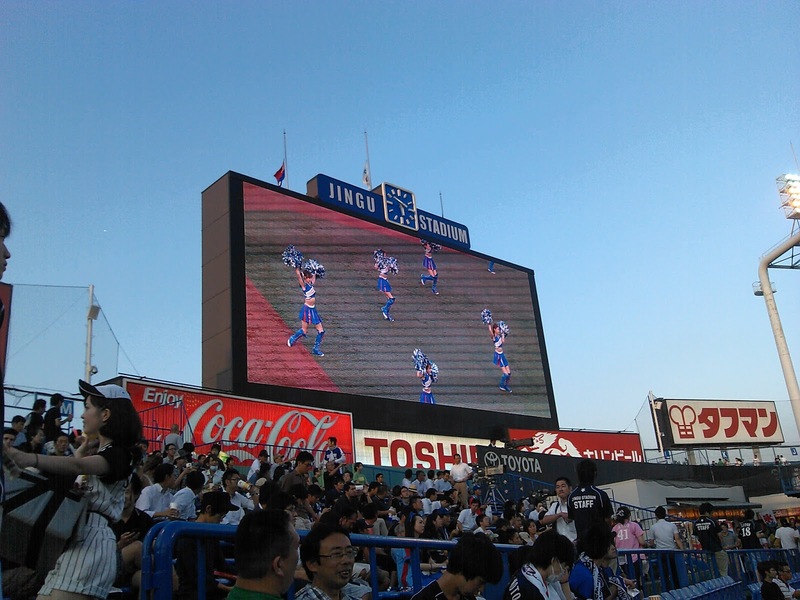 One of the great things about baseball teams in Japan is that they have cheerleaders and before the game started they were out to do a routine. How these girls walk around all night carrying kegs of beer on their backs amazes me!! Not only that, but they are constantly smiling and happy to have a chat! But anyway, back to the baseball. The game got under way and there was so much scoring that the first two innings took one and a half hours to complete, a little more than half the time for a complete nine inning game! At the end of the first inning, the scoreboard looked like this. 8-6!! That's a high score for a full game. The game slowed down after that. I guess the players got tired after the first two innings! The final score was 10-9 to the visiting Dragons, and we high-fived a few very happy supporters on our way out!! The end of the fifth inning saw some fireworks which were nice and excited everyone. Japanese people do love their fireworks! I can really recommend getting to a baseball game if you are ever here during baseball season. 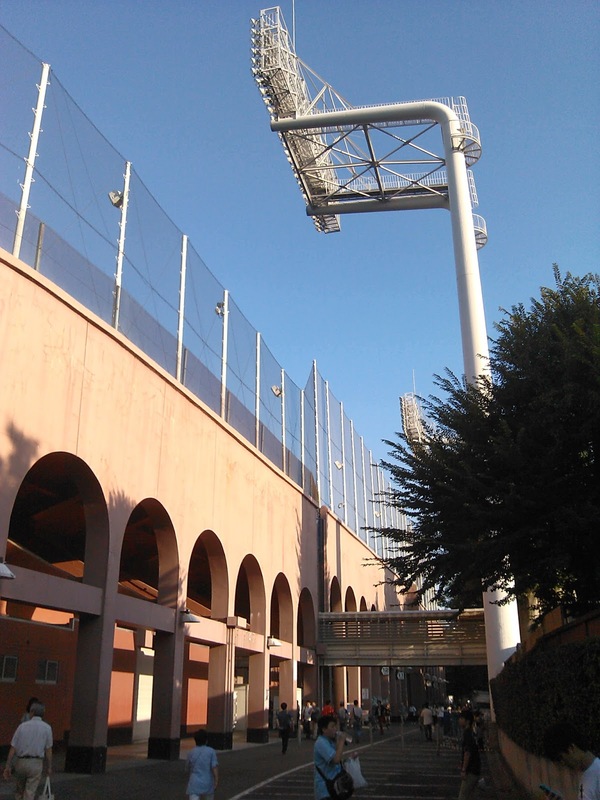 The atmosphere is great (each player has their own chant that the supporters sing out each time they come up to bat or pitch) and there is no danger of getting beaten (or worse) by the opposing supporters before, during or after the game! Well, that's it for this week. I am heading into a short 6 day vacation. 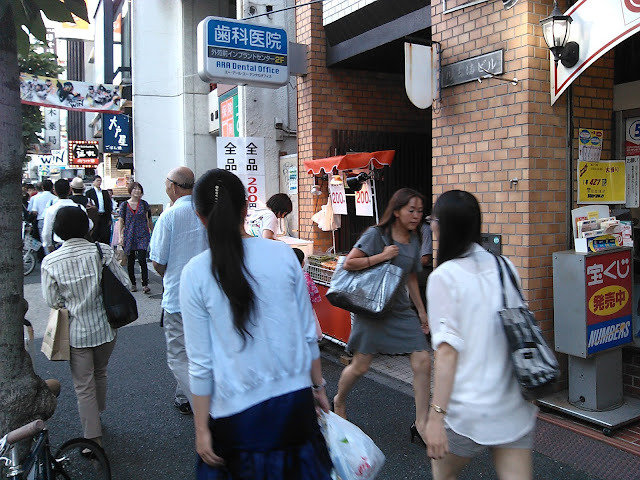 One of my sisters is coming to visit and I will be showing her around Tokyo and we will also head to Kyoto for a couple of days (keep an eye out for that post). 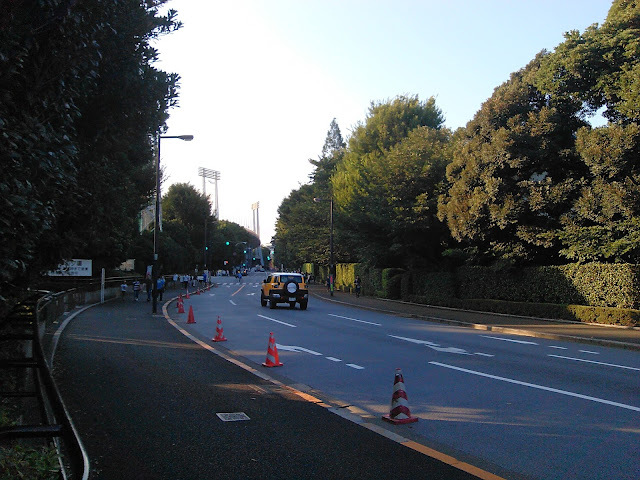 Meiji jingu is close to my hospital. But I never been to there. 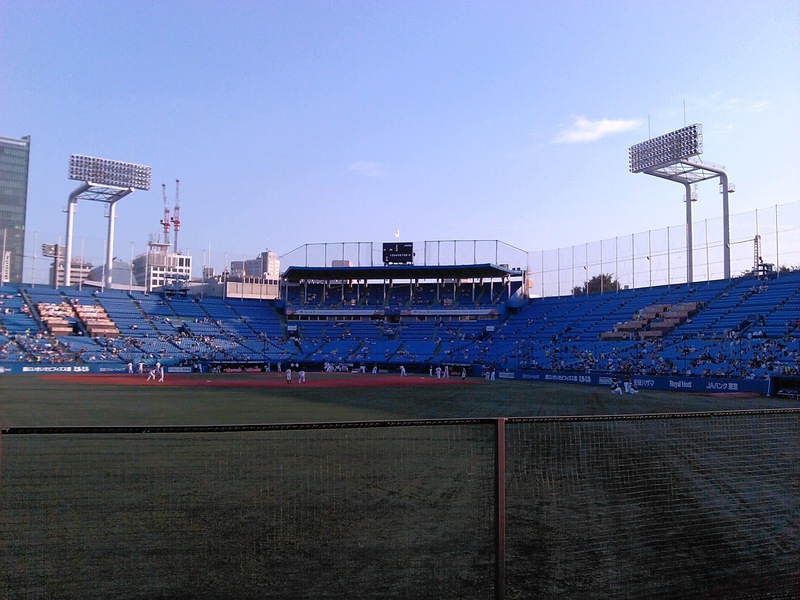 Have you ever been to batting cage in Meiji Jingu? 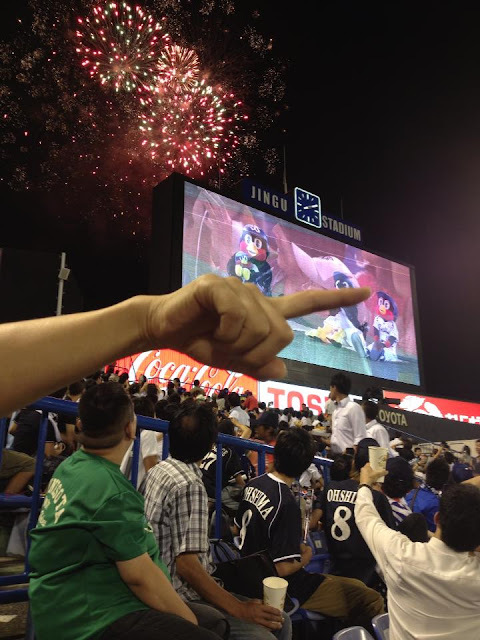 Yes, I am a sports otaku. I love sports! I did go to that batting cage once when I lived in Japan before. It was a llt of fun for sure! The holiday has been great so far and looking forward to the rest of it. 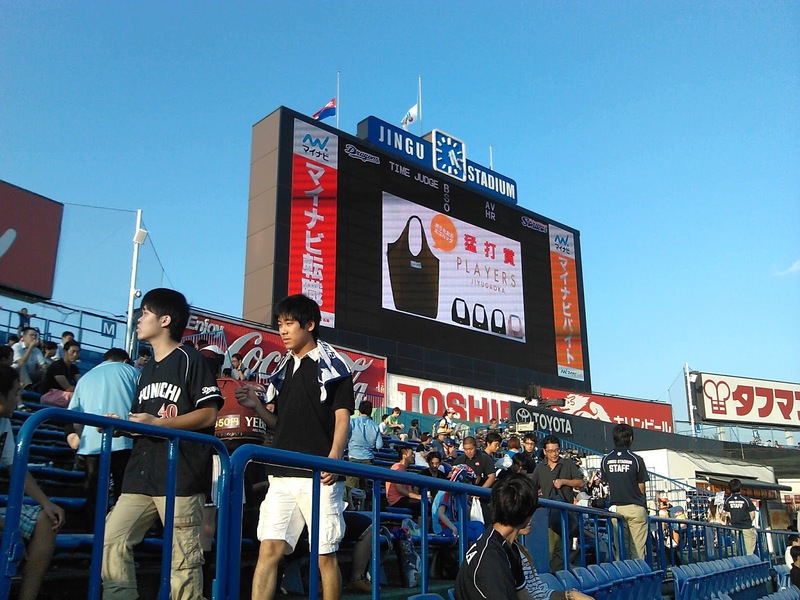 Whilst I was staying in Japan,the family I stayed with,liked to watch baseball on tv and when you walked around the small town,you would see students playing.The girls were also having a go,dressed in baseball gear.A person I met and whom I stayed with briefly,had made a special trip to the states to watch a match at a famous venue,which had been a lifelong dream of his.And as you know,there have been and still are no doubt,some highy paid players from Japan,who have become superstars in the the states.I remember going to baseball games at Norwood oval under lights in the 1950's,but never played the game myself. As you would know by now,Essendon have felt the wrath of the AFl and whilst ASADA has not dealt any infraction notices to the players,this cloud remains.Overall,the club possibly got what it deserved and it will now be interesting to see how everyone at the club will cope with this unfortunate episode of events.Let's hope,they can now get on with mending the wounds and come out fighting in 2013.All the best,Noel. some of my students have done the same thing. Saved and gone to the USA to watch a Major League Baseball game, especially, as you say, more and more Japanese players are playing there. Australia even has a few guys over in the Major Leagues, but not nearly as many as Japan has. Yes, I heard about the sanctions to the club and Hirdy as well. I personally feel that the punishments are a little too harsh considering the players were not given anything illegal. Sometimes I feel that Demetriou and his cronies should be charged for bringing the game into disrepute themselves when you look at what the game has become under their watch. I see Demetriou as the Geroge W Bush of the AFL, he's just wanting to make a mark. But, enough political commentary from me!